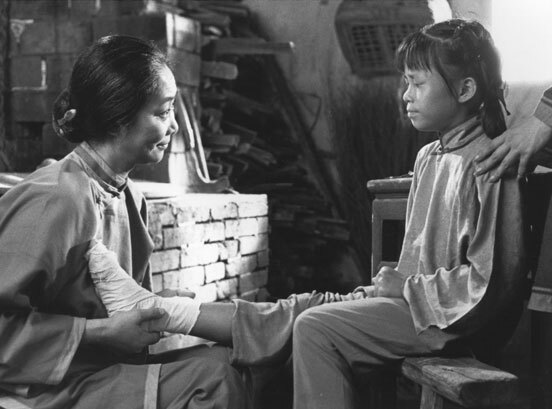 The beauty of Chinese woman was based on the size of her feet. As painful as it may sound the ideal size was 3 inches and shaped as a lotus flower. 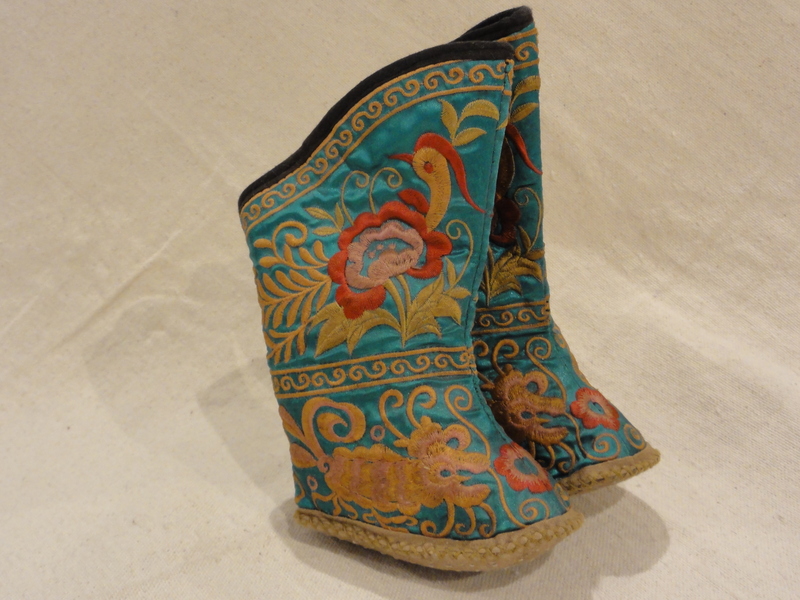 Foot binding was the custom of applying tight binding to the feet of young girls to modify the shape of their feet. 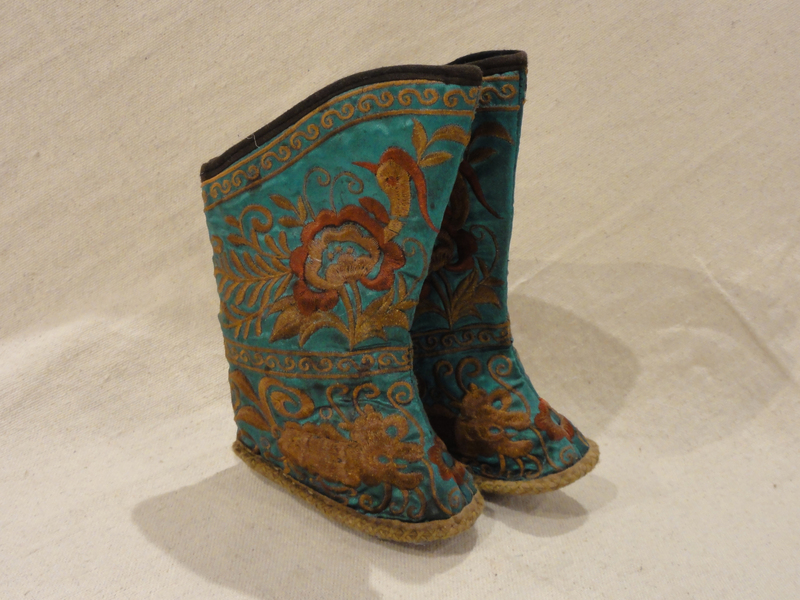 It was practiced in China from the Song dynasty until the early 20th century, and bound feet were considered a status symbol as well as a mark of beauty. 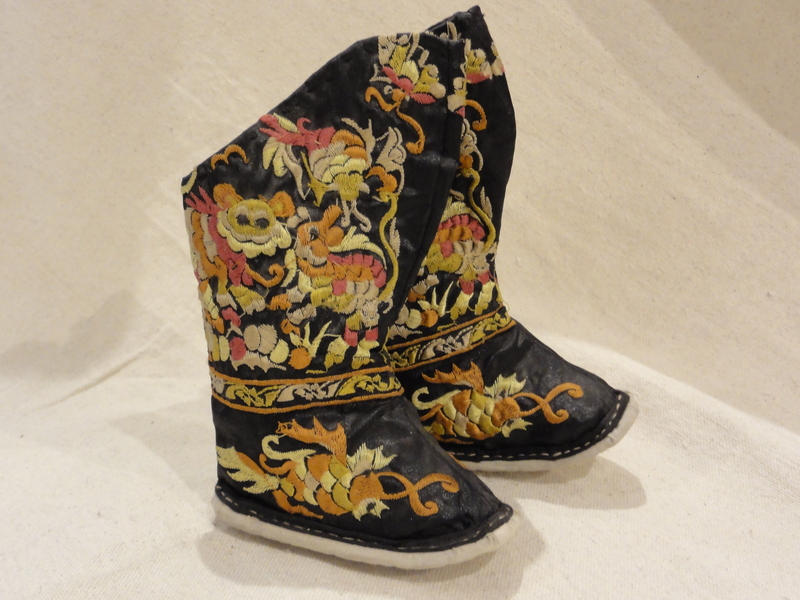 Foot binding limited the mobility of women, and resulted in lifelong disabilities for most of its subjects, although some women with bound feet working outdoors have also been reported. 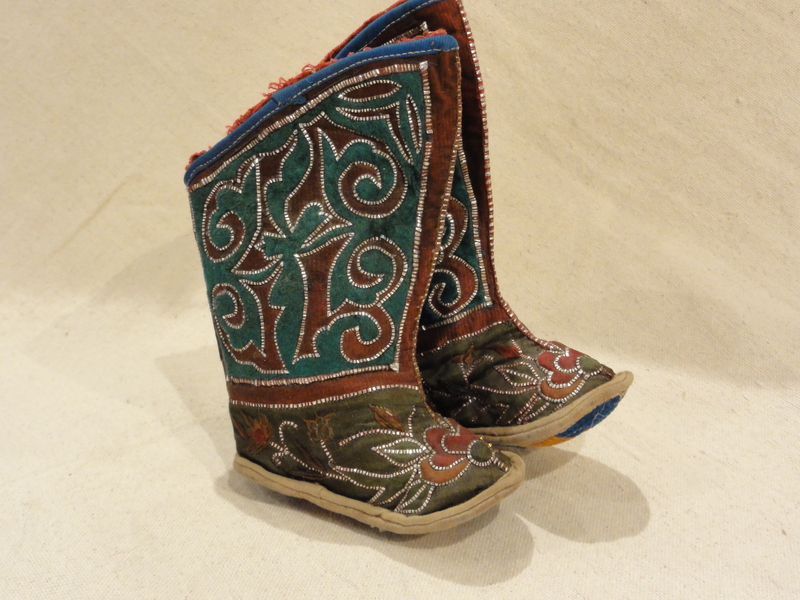 Feet altered by binding were called lotus feet. The practice possibly originated among upper class court dancers during the Five Dynasties and Ten Kingdoms period in 10th century China, then became popular among the elite during the Song dynasty, eventually spreading to all social classes by the Qing dynasty. 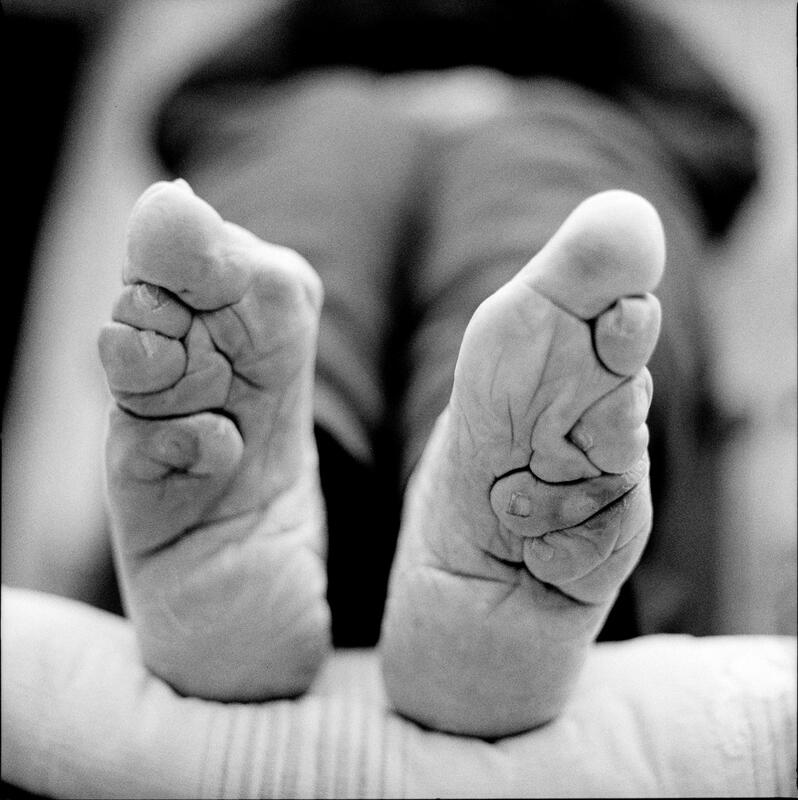 Foot binding was practiced in different forms, and the more severe form of binding may have been developed in the 16th century. 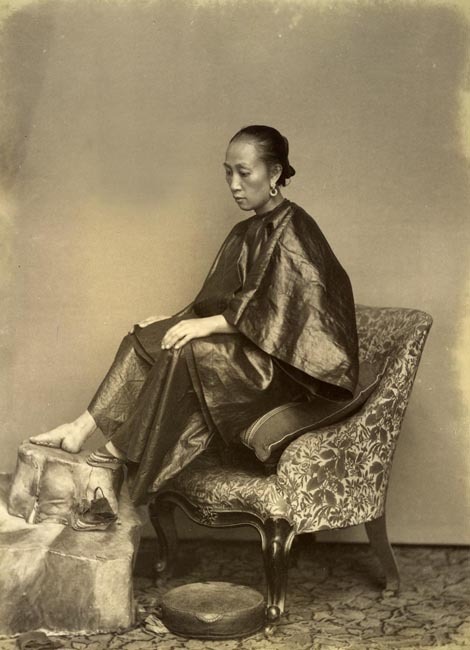 It has been estimated that by the 19th century, 40–50% of all Chinese women may have had bound feet, and up to almost 100% among upper class Chinese women. 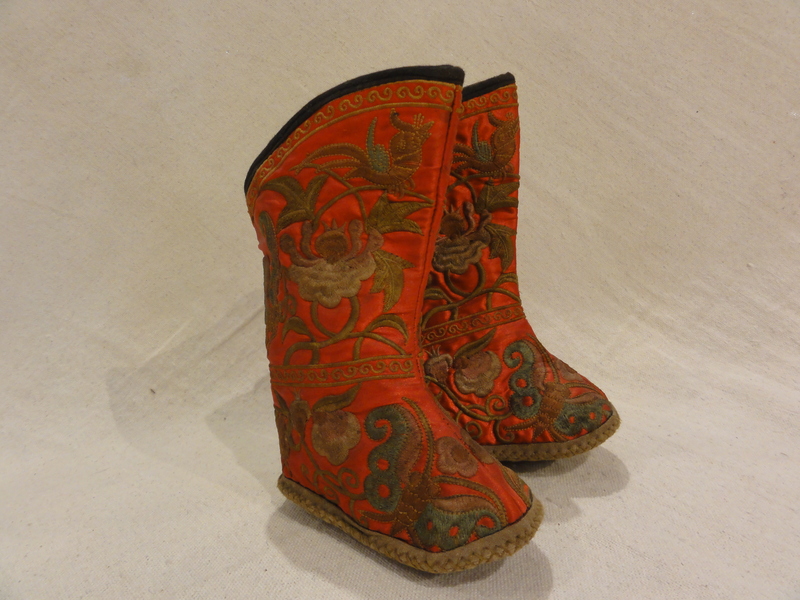 The prevalence and practice of foot binding however varied in different parts of the country.